Take a trip to a pleasant town nestled in the Rocky Mountains, Park City, Utah. Often overshadowed, Park City offers a great variety of entertainment and can be the perfect destination for you next getaway. Located less than 30 miles from Salt Lake City, the Desert Jet pilots will fly you in private jet to the Salt Lake City Airport (IATA: SLC, ICAO: KSLC), placing you only a short drive away from the wondrous Park City. Once you have arrived in Park City the possibilities are endless. The city makes for a magnificent winter trip, with options of three top class ski resorts for you to hit the powdered slopes of the Rockies. The skiing in Park City is excellent, being home the United States Olympic ski team. If you want to experience Rocky Mountain skiing, Park City surely will not disappoint. A visit to Park City, no matter the season, provides continual leisure opportunities. In the summer the elevation of Park City keeps the heat down and provides a cool escape to the blistering heat. Within close proximity to the airport there are numerous nature excursions. The area is home to many biking and hiking trails in the forested areas of the mountains. You can also find many reservoirs or experience the natural beauty and wonder of natural hot springs in the area. In Park City itself, there are many renowned retailers, clubs, and restaurants to meet your hearts desire. 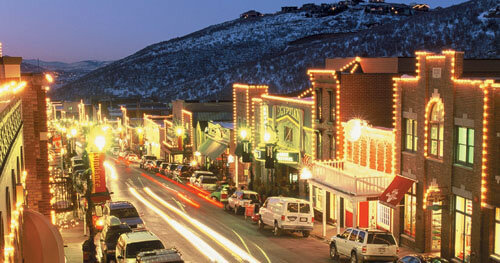 Park City also plays host to the largest independent film festival in the country, the Sundance Film Festival. There is so much to encounter in Park City and the beautiful backdrop of the Rocky Mountains creates the perfect setting for a wonderful experience.